DE Underwriting (PREP PACKAGE) DU & LP Workshop - "Everything from A to Z" FHA 203(k) Training - "Special Rehab Program"
FHA/VA Quality Control - "Everything From A to Z” HARP Ends in 2018 - "What Will Replace it?" LAPP/SAR Underwriter - "Step by Step Instruction"
Multi-Family Underwriting & Processing - "Conventional Loans" Multi-Family Underwriting & Processing - "FHA/VA Loans" Non-QM Underwriting - "Everything from A to Z"
Quality Control 101 - "QC For Conventional Loans" USDA Rural Housing Loan - "Qualify, Process & Underwrite" BOTH CLASSES: Mortgage Underwriter 101 & Advanced Underwriting. 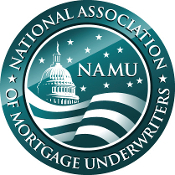 Due Diligence - "Learn Manual Underwriting" Tax Return Analysis Workshop - "Examine Self-Employed Borrowers" FHA Direct Endorsement - "DE Underwriting"